Take a pan of brownies, either made from scratch or a mix, or brownies purchased from a bakery, and transform them into rich, decadent desserts that go beyond the basic baked chocolate bar. Depending on the time, and ingredients you have available, start with any simple brownie recipe, or make one from a mix. If you are purchasing brownies, buy unfrosted plain brownies for best results. Brownies are always a great treat when you are entertaining for a large crowd, but if you really want to make these bad boys fly off the table at a bake sale, up your game and take unfrosted brownies to the next level with some added extras. Use your imagination with any brownie-altering recipe. For instance, use different nuts in a walnut brownie recipe, or add some creme de menthe in mint chocolate brownies for an adult twist. Be sure that the brownies are completely cool before you start frosting or building because warm brownies will be harder to cut and may melt the other ingredients you have added. Frosting brownies with unusual, double, or even triple frostings are one of the easiest ways to turn your treats into a special dessert. You can mix and match frostings to create your own masterpiece. Cream cheese frosted brownies are a perfect way to elevate simple brownies with an unexpected finish. These brownies showcase a delicate balance and delicious contrast of slightly tart frosting with the super sweet brownies. Brownies make a fabulous base for frozen desserts. Whether you layer ice cream, puddings, mousse, or custard on brownies for a frozen dessert, all of these toppings make this treat delicious and decadent. You can even update a classic ice cream sandwich by replacing the cookies with brownies. Toppings for brownies can run the gamut from a rich thick coating of fudge to a mousse, pudding, crunchy nut mixture, candy mixture, or meringue. Use your imagination—if there's a topping out there that you enjoy, it probably tastes good on a brownie. Candy bar brownies are a great way to use any leftover Halloween candy and can be fun to make with kids. A pan of brownies is a great beginning for a layered dessert, whether it is a trifle, a cake-like treat, or parfaits. Add a layer of caramel or melted candy between the brownie and frosting for an unexpected sweet treat. Layered brownies look best with very smooth edges, so wait until completely cooled before cutting them into squares. 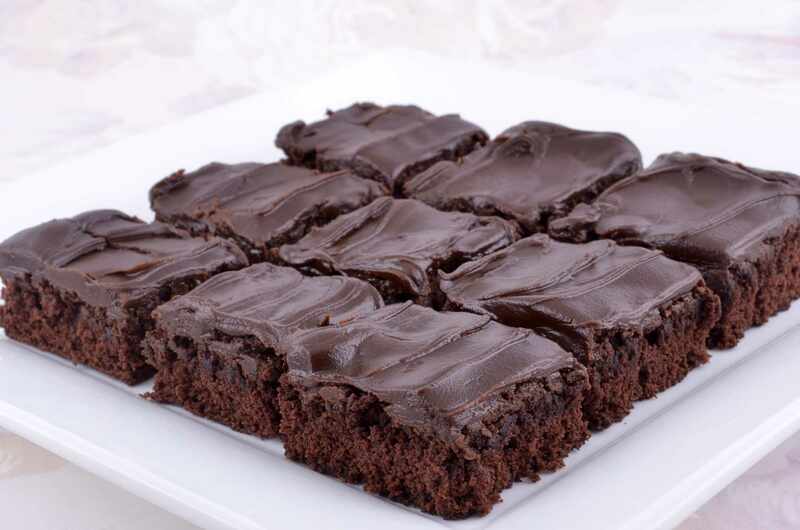 Cut brownies into bite-sized squares and skewer them, adding everything from marshmallows to fruit to pound cake or angel food cake in between for a delicious dessert that is as fun to make as it is to eat. Brownie skewers are a perfect way to enhance premade brownie bites. They are very portable and are a fun and different way to enjoy dessert. For ultimate decadence, serve brownie skewers with chocolate or caramel sauce for dipping, or drizzle with melted chocolate to finish.